You can't keep a good man down... Captain Lester will forever roam the battle fields of WWII. 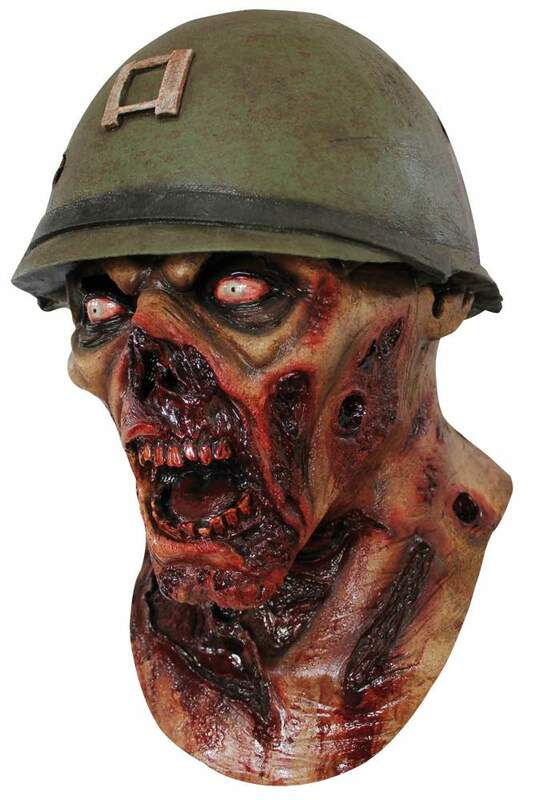 This full over the head latex mask is just amazing with tons of detail and attached helmet. Every mask that I seem to like is made by Ghoulish Productions. Their attention to detail is incredible and this one is no exception. Looks even better than in the picture and video. If you like zombies, buy it!